To any of my regular readers, it is no secret that I love vintage and lofi sounds. I grew up in the 1980s and there were so many characteristic sounds of that time. When I hear them, I am instantly transported to simpler times. I've always wanted to get some nice VHS sounds in my music, but there's no Ableton device or third party plug in (maybe Speakerphone) that really accomplishes this. I've recorded music and video to VHS tapes to get that sound, and the results are pretty cool. But sometimes I just want that effect right inside the box. I finally did myself that favor and created this free Ableton Live Pack. 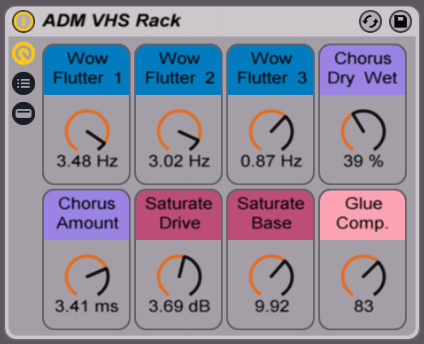 This Ableton audio effect rack will give you control over the pitch inconsistencies, chorusing, saturation, and compression that are characteristic of VCR tapes. You can dial in the effect to be subtle, or go all out and make your music sound like it's practically broken. It can be used on a track by track basis or on the master channel. Check out the video below for a demonstration using my Alpha Juno 2 Ableton Pack and my Super Tape Drums Ableton Pack. If you happen to have a VCR around the house, here's a nice video with some tips on how to record audio to it and back into your DAW. Don't limit yourself to VCR, try anything that you can plug audio into! Finally, here's a little jam I did a while back using Speakerphone for some VHS emulation. Speakerphone is pretty cool and does accomplish this effect rather nicely. I also used an iPad app called ImproVox to create the background harmonies. The music in the demonstration video was made with the Super Tape Drums and Alpha Juno 2 Ableton Live Packs. The warmth and character of the Roland Alpha Juno 2 is captured in 72 Ableton Live Instrument Racks. Featuring vintage sounds that fit a wide range of genres. Get VHS DRUMS and 80's VHS Synths for Ableton Live! If you like this effect then you will love my 80's VHS Synths and VHS DRUMS Ableton Live Packs. These are collections of instruments recorded to VCR tapes and back into Ableton Live, and then made into Instrument and Drum Racks. They are perfect for capturing that vintage 80's VHS vibe. 58 Ableton Live Instrument Racks made from samples of various analog and digital synthesizers. 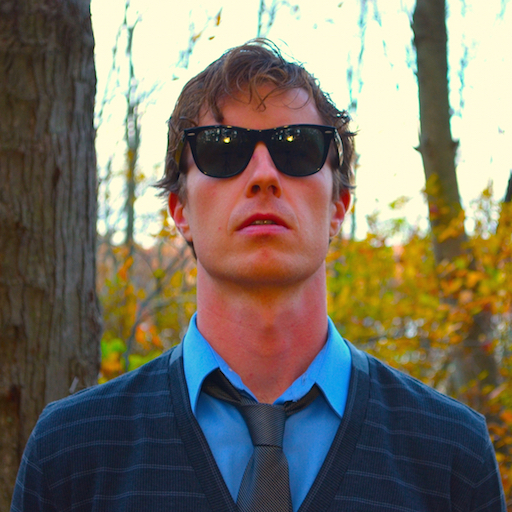 The synths were recorded on to VHS tapes with an old VCR, and then imported into Ableton Live. The VHS samples were used to create the instruments in this collection.